Our Home Groups meet fortnightly, and we encourage all of our regular attenders to get stuck in. Prayer and friendship are the basis of these groups. Prayer meetings are held on the third Monday of the month. Please email us for more information. 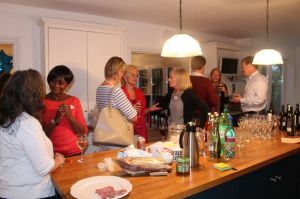 We have a full and varied men’s and women’s programme plus social events ranging from comedy plays to meals to quizzes! Check out the calendar for the latest happenings.